We’re very excited to report that we’re now in the thick of planning for the first colour transformation at the first and most westerly of the seven trees: the Wasdale Oak. We won’t be wrapping the tree. We won’t be painting it. 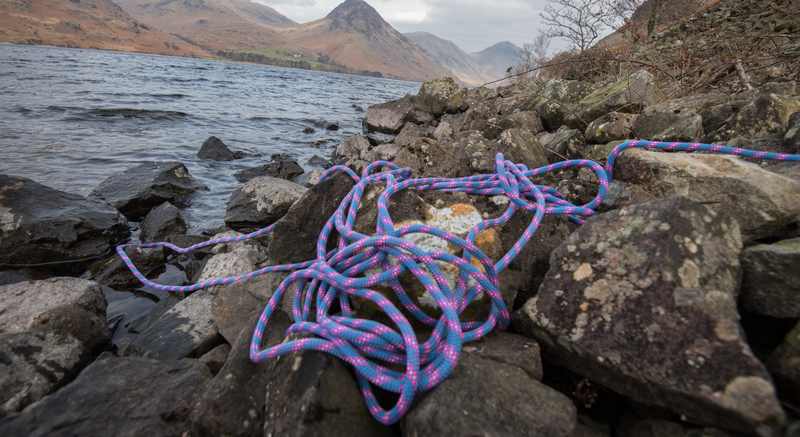 The colour intervention involves the draping of over 100 metres of yellow cloth to create a line between the oak tree and the shoreline of Wastwater. We were at the tree recently, measuring and checking the land around it. Taking it in turns: one of us holding one end of the 30m climbing rope, the other walking down the slope, unravelling. As we followed the direct line down from the tree, tracing the reach of its roots and pacing the land right down to the water, we felt the interconnectedness of the many elements in this landscape: water, earth, root systems, trees, air, sky and us, passing through. The line that runs the 110 metres from tree trunk to water’s edge will be visible from the opposite shore of the lake. It’s a simple gesture and a symbolic thread of life, connectivity, action and will power. We have chosen to use the seven colours to transform our seven trees for a couple of reasons. This being a project using photography, which is in the literal sense ‘painting with light’, the colour spectrum is an obvious point of reference. The word ‘spectrum’ was introduced by Isaac Newton in the seventeenth century, when he remarked on the way that white light, when passed through a prism, reveals different colours. Newton identified the seven colours of the spectrum – red, orange, yellow, green, blue, indigo, violet – the same colours that are seen in a rainbow and most of us learn as children, with the aid of simple rhymes. 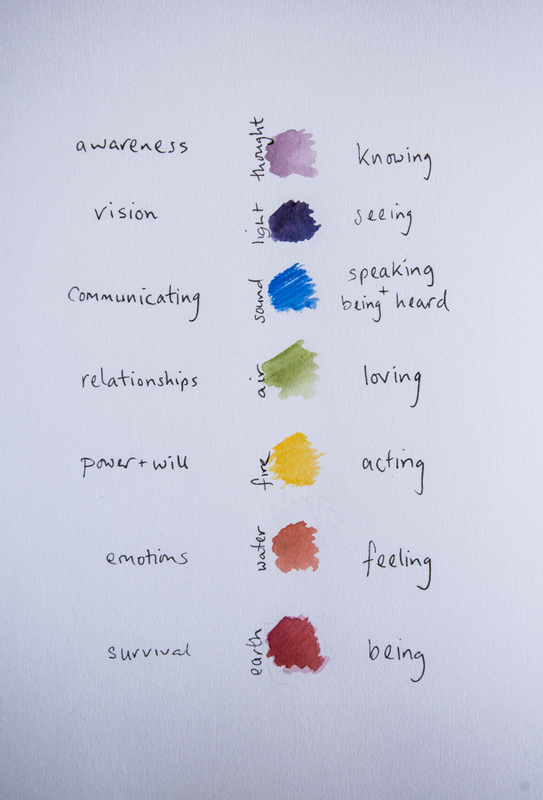 Many hundreds of years before Newton came up with his spectrum, the seven colours had been connected with energy points or ‘chakras’ in the human body by Indian philosophers; they are often referred to in yoga and meditation processes. The colours and their vibrational frequencies can be used to symbolise different elements of (human) nature, life stages and wellbeing, beginning with the groundedness of the red base, or root, chakra. The association of colour with human sensations and emotions appeals to us: it is an aid to exploring in more depth our own personal processes as we journey through the year and through the land, and consider the way we as humans identify and respond to our environment. We’ll be drawing on the colour symbolism in meditations at the trees, as well as in the art installations. 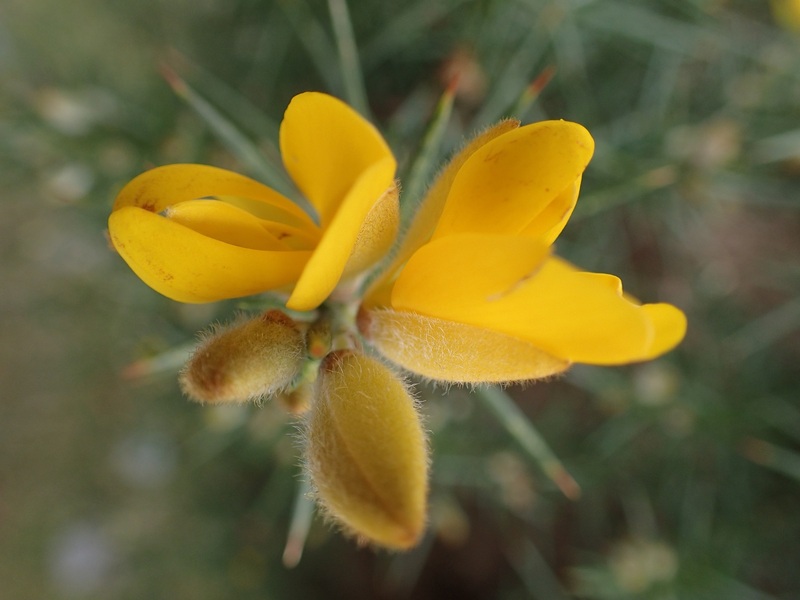 The colour yellow, which we are using in Wasdale, is linked with the third chakra and the solar plexus. This is a centre for action. The association has found its way into common language – we all know what it means to act on your ‘gut’. You could think of it as a meeting point between feelings (rising from the groin and the belly) and thoughts (arising in the mind). The energy rising from the solar plexus is the fire that gets things going, that enables the translation of ideas into action; it is the point of spontaneous action resulting from a natural drive for survival. Such action often follows the line of least resistance. We’ve chosen to use yellow as our first installation precisely because it is linked with action, and the will to make things happen. It’s our first active intervention in the landscape. And it’s a reminder of our collective human responsibility to this planet and the way we care for it – with trees as one very important part of the global ecosystem. When we install the line there will be a gap where the public footpath runs across it. This physical break in the colour prompts some questions: Do we see ourselves as part of nature or outside it? How inevitable is humans’ separation from the flow of natural processes, at this time in history, with the exponential rise in our use of technology? Do we see a connection between the number and health of trees, and their location, and the health of the planet? What value do we place on our own physical, active, connection with the natural world around us? Between now and May, we are planning the practical installation – we are preparing the cloth so that it will be easy to peg down, and planning dates to carry it in. Harriet will be inscribing a poem onto the material so that words, along with colour, will follow gravity down hill. The installation will be in place in the second half of May and will coincide with the Lakes Ignite festival, whose theme this year is water. make it my comp.screen shot ,Rob.Your project with the spectrum setting trees in the landscape will be fascinating. I will enjoy following it. Stupid arrogant people. How can you possibly enhance the beauty of the Lake District. Do us all a favour and remove your junk or I sincerely hope someone will do it for you. Hi LakesLover. We have never been called arrogant before but thank you for adding your thoughts. I think you might not have realised that this is a temporary installation that’s in place only for several days. Sorry that you didn’t appreciate it. To add some context for those who weren’t aware of it we have put up a new blog post, which you may choose not to read but others reading this comment might be interested. Went to look at this last night. It’s hideous. Looks like a yellow pipeline. It completely spoils a beautiful area. Please take it away before the locals tear it down. Sorry you don’t like it Louise. It is a temporary installation which means it will only be in place for a matter of days. Oh great idea, spoil the best view in the lakes, encourage people to walk on one of the roughest paths in the area and give people who visit no choice as to if they do or don’t want to be part of the project. Its inappropriate for the place it has been put, if people want to enjoy modern art then great ,but it should be their choice, not yours. The thoughts and reasons behind it are not relevant, it ruins the vista for everyone who visits to enjoy the natural beauty. Hi Guy. Just to reiterate our comments on previous posts, this is a temporary installation, there for a number of days. While we appreciate that some people are upset that it has ‘spoiled’ their view it will not do so for long, and it has also prompted an interesting debate with many people praising it. We personally love that view and the Wasdale Valley and are celebrating it in many ways – this installation is a brief event but our learning about the area and the way we share what we learn with others will continue as part of this project, which runs for more than two years and will celebrate what the Lake District has to offer in a number of UK cities. You are right about the path being very difficult. And it is challenging to put an art installation in a public place where people do not necessarily expect to find it. Art is often challenging. Since you wrote this post we have spoken – we’d like to thank you for getting in touch, it was good to talk things through with you on the phone. Hello Mr Steele – sorry to have offended you, not our intention. As you may now be aware it is coming down earlier than we originally planned, largely due to the reaction and the real fear that it would be vandalised and people might get hurt in the doing or actually harm the spot. Permission was given by the National Trust, one of our project partners and it was done in consultation with the local farmer – of course he probably wasn’t aware of the stir that it would have caused, but then neither were we. But, we still stand by the piece and the thinking behind it. It is temporary and will be gone soon, but hopefully the debate about our impact on the planet and how we might be able to ameliorate this better will continue. We love Wasdale too – indeed we got married there four years ago – and know that it is a very special place.